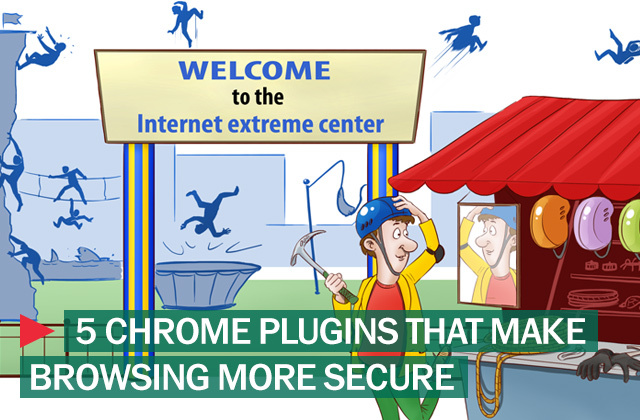 There is an entire market of plugins out there designed to keep you safe while surfing the web on your browser of choice. Each one has lots of options; for Google’s Chrome, here are five of the best programs that will help keep your system and your personal information safe and secure. MaskMe: We share our email address so much these days it’s easy to lose track of. And the more you use your email address to sign up for online accounts, the more likely you are to get unwanted advertising and spam further down the line — and the more likely your email information can be obtained by attackers should they exploit a system that has your email information stored. Enter MaskMe. When a website asks for a user’s email or phone number, MaskMe gives the option of creating a masked email or phone number; that way, if the email is given out to advertisers or spammers, you won’t get those junk messages. Meanwhile, your necessary account news is forwarded from your masked account to your real account. MaskMe gives the option of creating a masked email or phone number; that way, if the email is given out to advertisers or spammers, you won’t get those junk messages. Ghostery: Ghostery doesn’t just block scripts running in the background, it gives you information about the ad networks and tracking scripts that are operate on any given site. When you go to a new site, a Ghostery popup opens showing all that information. It also gives out information on each of these trackers, including lins to their privacy policies and opt-out options. Ghostery also has a customizable blocking feature, letting users select which networks to block and which to allow. KB SSL Enforcer: Secure Socket Layer (SSL) is a layer of cryptography that makes web pages safe to users and virtually impregnable to attackers. When you’re on a webpage running SSL, the website will begin with https: instead of http: (notice the ‘s’ or lack thereof. It’s this type of encryption that you should always make sure is running when you engage in financial or other sensitive transactions online, and it’s this layer of security KB SSL Enforcer provides its users. This extension tries maintains a list of sites that support HTTPS and automatically directs users to the secure versions of those sites that do. Kaspersky Anti-Banner: Each of these plugins will increase your system’s overall safety, making it harder for attackers to exploit their way into your personal information or to hijack your system. Ultimately, the best way to protect your system from being compromised during online activity is to use a robust Internet security suite like the Kaspersky Internet Security 2013, which has recently taken home several honors earned in independent testing. And KIS 2013 also comes with Kasperksy’s Anti-Banner plug-in for Chrome, which blocks advertising information located on banners and built into the interfaces of programs displayed online. What to Do if Facebook Leaked Your Data?